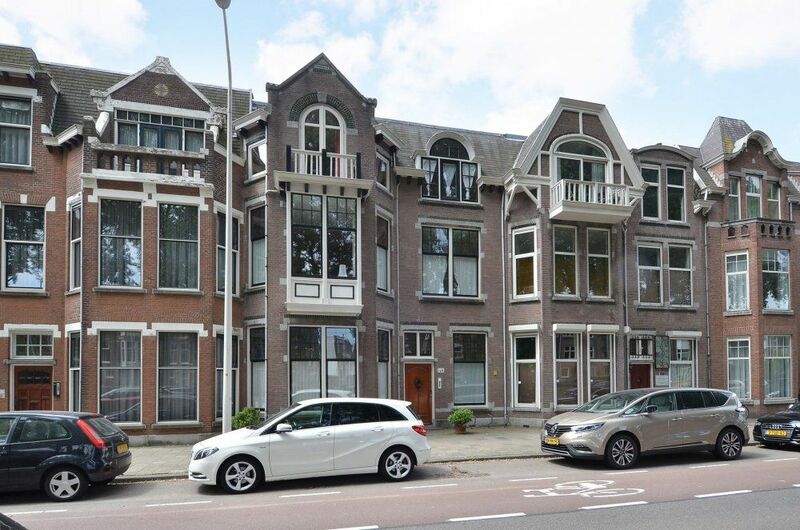 Located on the fancy Statenlaan in the Statenkwartier area we offer these well-maintained spacious 3-room apartment (1 bedroom). With the shops on the Frederik Hendriklaan around the corner, tram stop number 16 in front of the door and the beach within 5 minutes walking distance this is the perfect location. Common front door on the ground floor, indoor staircase to the first floor. Front door apartment. Incoming in the living room with floor-to-ceiling windows which offer plenty of natural light. Spacious kitchen with plenty of cupboard space and equipment such as refrigerator/freezer, oven, dishwasher and induction hob with cooker hood. Semi open dining room which can also be used as a study room. On the front is the spacious bedroom located with access to the modern bathroom with walk-in shower, washbasin with storage space, toilet and washing machine. -parking permit available through the municipality of The Hague.